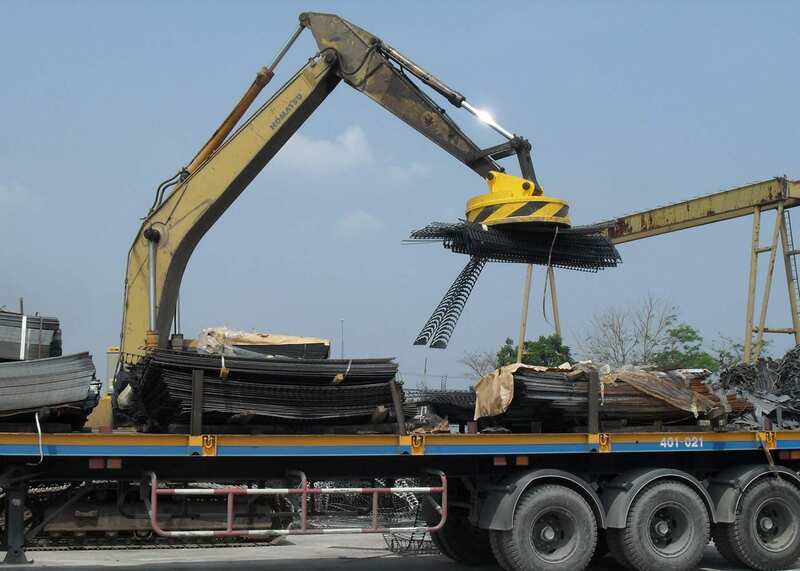 These types of electro magnets cover the lifting and transporting of steel plate, slabs, ingots, billets, pipe, loose scrap metals and more. 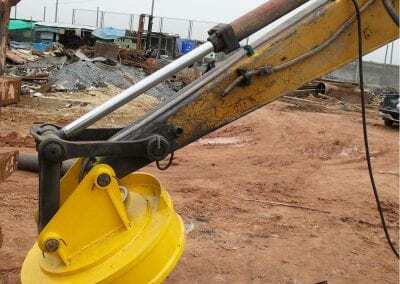 They can either be attached to a gantry, crane or digger depending on the requirements or the working environment. 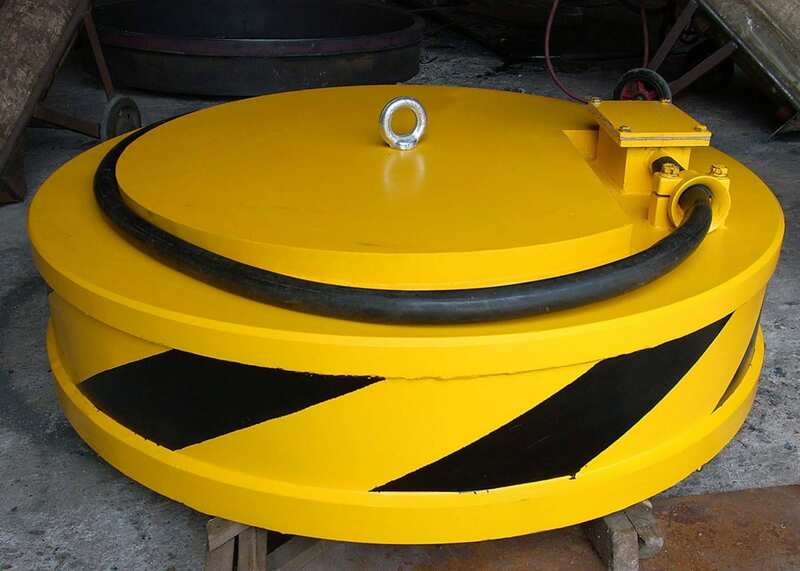 This consists of a Magnetic head, control cabinet voltage control system, cable connector, cable and cable drum if needed. When lifting and loading steel products the power interruption protective system is recommended in case of a power failure. This unit prevents the load dropping due to a temporary power failure. Battery and charging system required. The Electro scrap magnets can run off of a hydraulic generator attached to the diggers motor or a stand-alone petrol/diesel generator (Genset).